The Art Exhibition is a lovely, summer tradition in which we always take part. 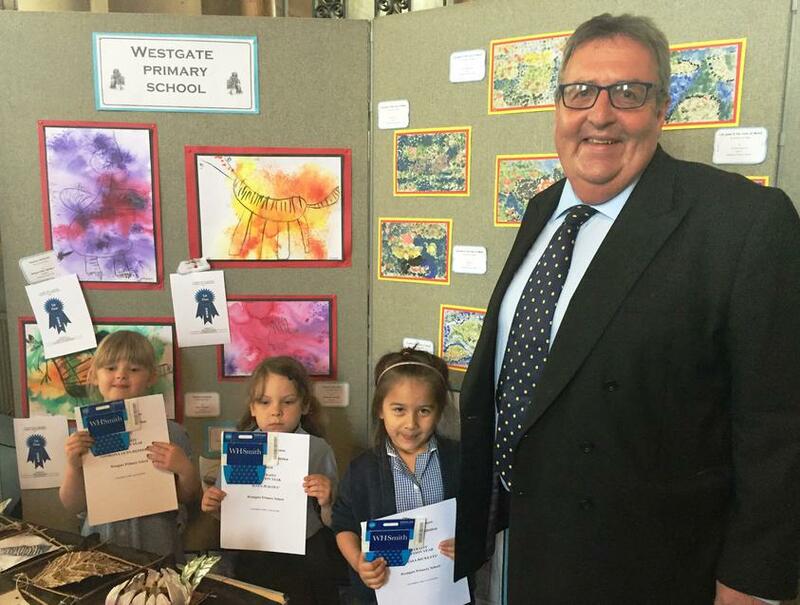 This year, we had three winners from Reception class who had painted pictures about the extinction of the dinosaurs. The children won a £5 voucher each and £75 for school art resources. Well done, Vanessa, Georgia and Kaya, seen here with their prizes.